The best quality massage education that is available in the world today at an economical price and without wasting students’ time has always been the goal for Brandon Raynor. 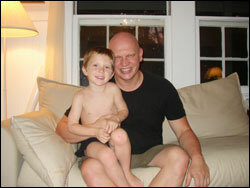 Massage Education Does not have to take years. Is a good massage therapist someone who can recite Latin anatomical jargon, or he or she someone who can help people alleviate ailments and / or make them feel better? Most of the massage courses in Australia, the United States, and England is designed to last between six months and two years. But does this make their massage education better? Quantity does not always equal quality. Many of these massage courses are filled with hundreds of hours of learning scientific jargon that is not relevant to the real world practice of massage. When someone wants to start a massage career, he or she must ask what it takes to be a good massage therapist. We must look at the massage therapy goals, and then we must judge the massage courses based on whether that massage education is going to help us achieve our goals. In other words, a person may take 500 or 5000 hours of massage classes, but we must consider how relevant the massage course hours are to becoming a massage therapist. Whether you plan to take one massage class or many depends upon your massage career goals. The two distinct goals of massage therapy are to promote relaxation and healing. The first is to produce client / patient relaxation and alleviate tension while giving the massage treatment. Usually Swedish massage, lymphatic drainage, and some types of Beauty Therapy massage fit into this category. The other goal of massage therapy is to heal the body and the mind by increasing mobility, the blood and lymph circulation, boosting immunity, and increasing the chi (life force) flow through the meridians in the Eastern forms of acupressure massage. Why Should Brandon Raynor’s School of Therapeutic Massage and Natural Therapies be the First Step of Your Massage Career? When choosing from the variety of massage schools, prospective students should consider whether the available massage education will aid in their goals, and what the quickest, most cost effective and interesting way to achieve their goal of becoming an excellent massage therapist. 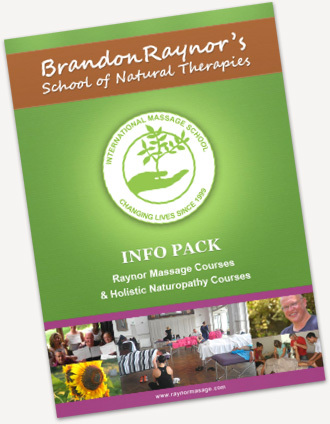 Brandon Raynor is a world innovator in massage therapy and naturopathic training courses. His massage school, Brandon Raynor’s School of Therapeutic Massage and Natural Therapies (BRNST), has been instrumental in making massage training programs more relevant to the actual needs of becoming an excellent and successful massage therapist. BRNST Provides Professional Massage Education in UK, Canada, Australia, USA, Asia and New Zealand.